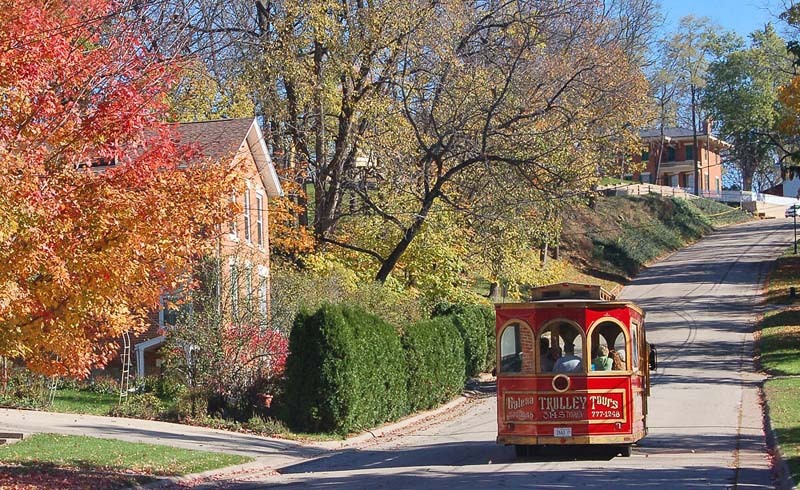 Though known for its shopping, Galena’s historical sites, tours and scenery charm without costing much on a Midwest weekend getaway. 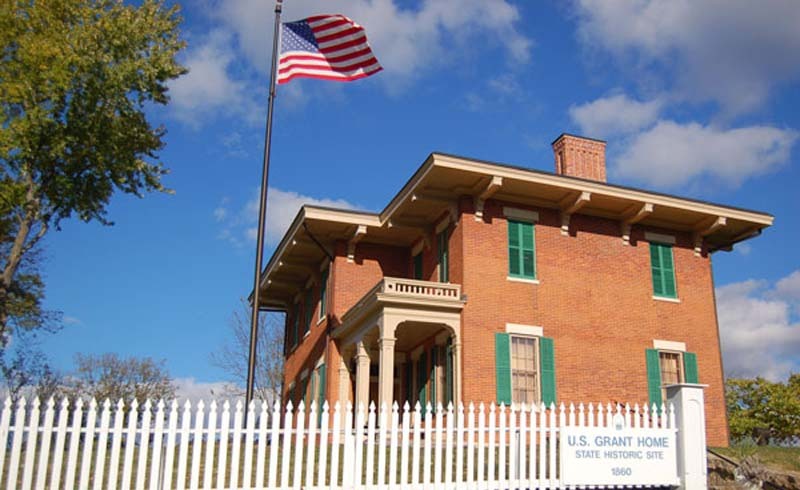 Although Ulysses S. Grant was born in Ohio, he made Galena his home during the 1860s, prior to his service as a Civil War general and his term as the 18th president. Costumed interpreters lead tours of his handsome brick Italianate house, still furnished with original pieces such as Grant’s favorite chair. The Mississippi River bluffs around Galena are home to 51 Native American burial mounds and a 112-foot-wide Thunderbird effigy mound believed to be 1,000 years old (it’s the only one of its kind in Illinois). Download a map to explore the mysterious grounds on your own, or reserve a spot on a guided tour. Get a discount coupon for a one-hour peek into Mississippi River history on an old-fashioned trolley. Follow in the footsteps of Native Americans along the bluffs of this multiuse park at the confluence of the Mississippi and Apple rivers. 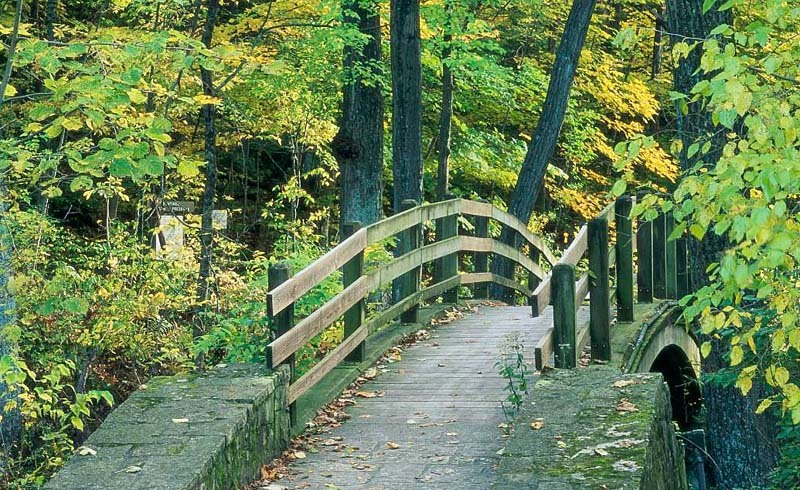 Wooded bluffs give way to fern-filled ravines on the 15 miles of trails. Handcrafted furniture, jars of honey and homemade jam, and antiques pack this retro mercantile. 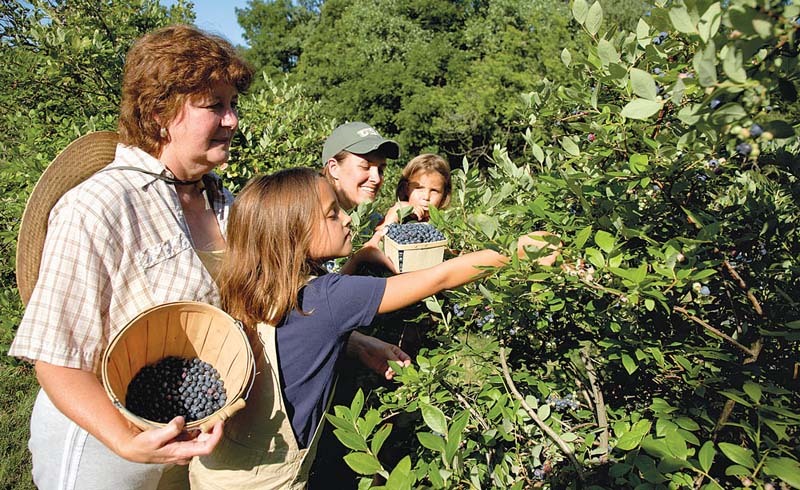 The real draw, though, is picking organic blueberries from July through September. Tours of the native prairie and the on-site sawmill are also available for a small fee. 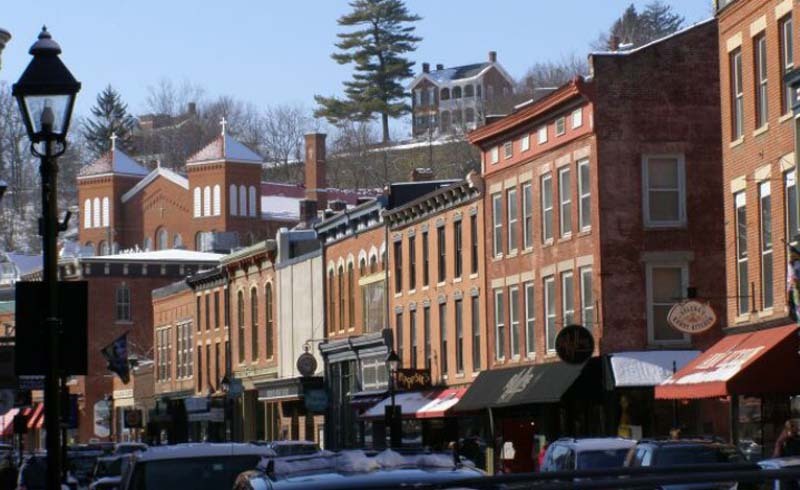 This 1845 Greek Revival building served as Galena’s city market for 65 years. 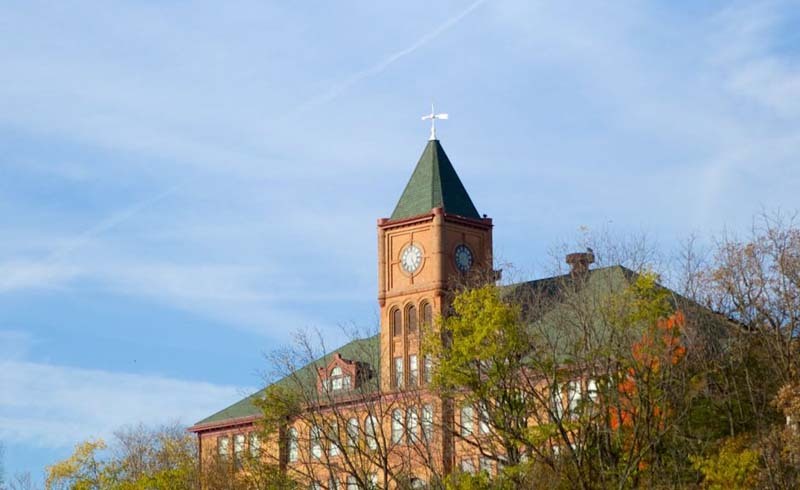 Now, it showcases changing history exhibits. A path winds through this 2-acre park dotted with a dozen oversize sculptures. Some pieces repurpose everyday items like cheese graters, wrenches and other “junk;” our favorite closely resembles a giant Tinker Toy. If you’re lucky, artist John Martinson will be working at his on-site studio. Admission is free. 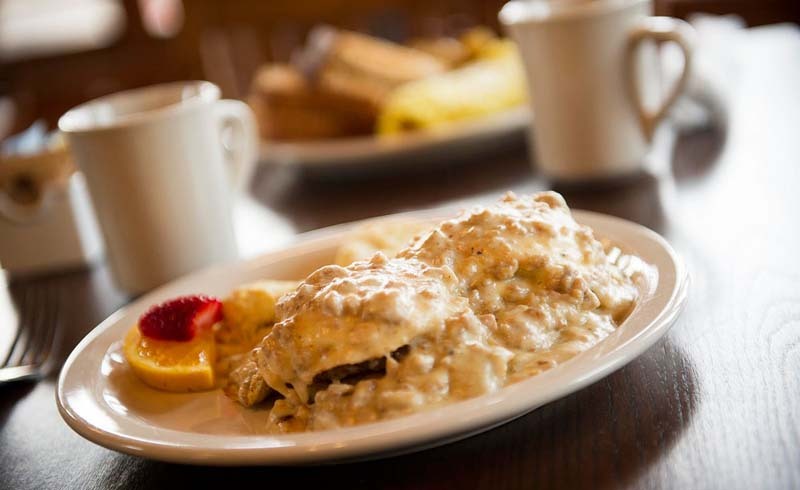 At this Galena landmark, homey breakfast fare like biscuits and gravy or corned beef hash is served all day. The lunch menu expands to include salads and sandwiches. Dinners on Friday and Saturday nights consist of a short but impressive list of appetizers and entrees. The mood is more Americanized Irish than authentic, but the amenities and accommodations are pleasant. Each guestroom bears the name of a county in Ireland and boasts prints from master artist Roisin O’Shea, along with microwaves and mini fridges. Downstairs, Frank O’Dowd’s offers live music to enjoy with pub grub like shepherd’s pie, burgers, and fish and chips washed down with the requisite pints of Guinness. Rates include breakfast.